Welcome to the Medina Lab! We are located in the Department of Biology at Penn State University. Our group has been studying Cnidarian-algal-microbial interactions for several years. We use a combination of ecological, physiological, and genomic techniques to understand these interactions. Our more recent projects are comparative, and we hope to address a series of evolutionary questions in the different invertebrate systems we are studying. We are a growing team! Check our members page for details. 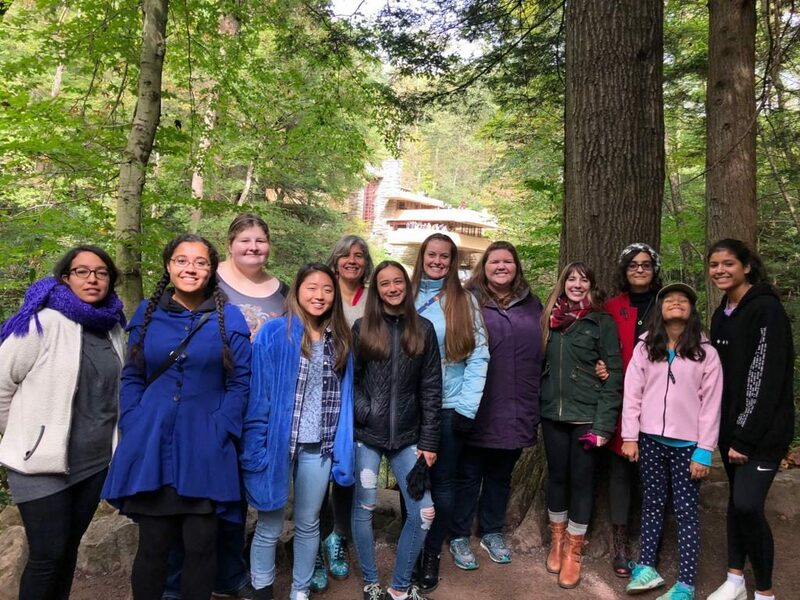 Some of us got together to have our picture taken on a nice fall afternoon in Fallingwater, PA. From left to right: Viri, Victoria, Leslie, Kate, Monica, Eloise, Julia, Allison, Sofia, Ana Maria, Anna, and Alessandra.